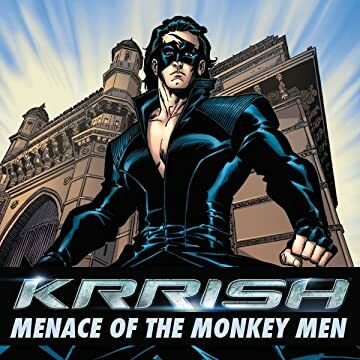 Based on one of the biggest Bollywood films of all time... Mumbai is in peril -- the deadly street gang, the Monkey Men, strikes at its heart. The city needs a defender. Who will step forward? Enter Krrish. A superhuman with a heart of gold, he's the man Mumbai needs right now. And fortunately for us, he's left his home in the idyllic mountains and moved to the bustling heart of the metropolis to save us all. Along with his girlfriend Priya, now a top reporter for a TV channel, Krishna must unravel the mystery of the gang's secret origins, and uncover a super-science conspiracy the likes of which India has never seen before. There's danger, intrigue, betrayal, monsters and mayhem. Will even Krrish's awesome powers be enough? 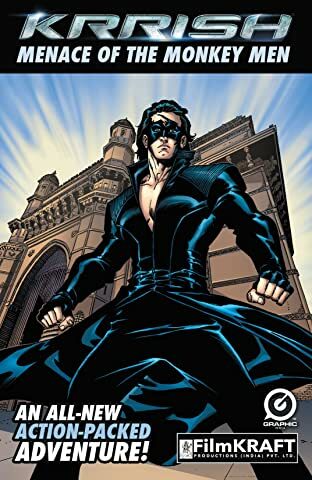 Graphic India, India's leading comic book creator, brings Krrish, Bollywood's biggest superhero, finally into the world of comics with this new epic original story. With a legendary team of comic book superstars including Tom DeFalco (Spider-Man, Avengers), Ron Frenz (Thor, Superman), Sal Buscema (Iron Man, Batman) -- the world of Krrish just got even cooler!